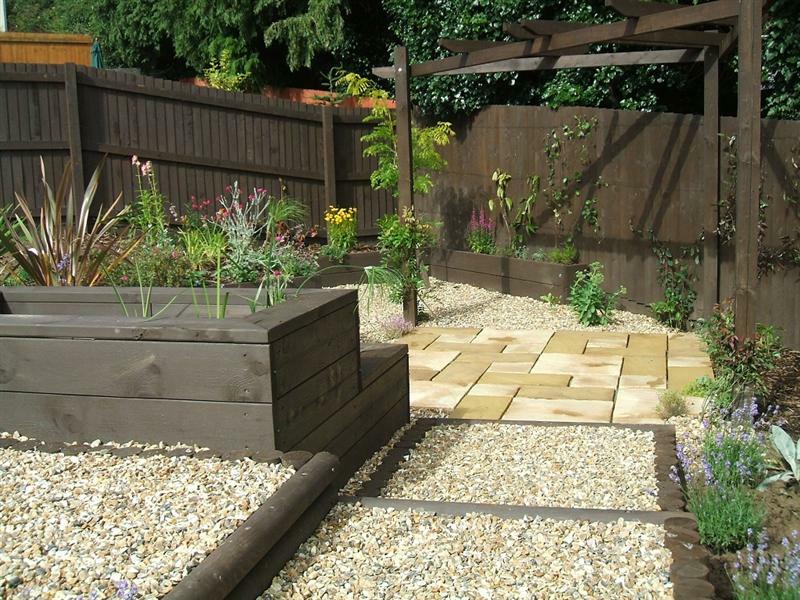 Featheredge fencing provides a versatile, but relatively in-expensive fencing solution. First of all we stock a variety of widths, and heights, of feather-edge for fencing. Starting at 1.2 metres, we also carry 1.65, 1.8 and 2.4 metre heights. Lengths of 3.0m, 3.6m and 4.8m are also available but mainly used for cladding. While most boards are available as 150mm width we also stock 1.2m, 1.65m and 1.8m boards at 125mm width. Most fencing installers allow a 25mm overlap when constructing the fence. Therefore allow a minimum of 10 boards per metre for 125mm featheredge salts and 8 to the metre for 150mm. So once the fence is constructed you might just want to finish with some featheredge capping. Available in in 3.6 metre lengths of rebated or flat-bottomed profile. 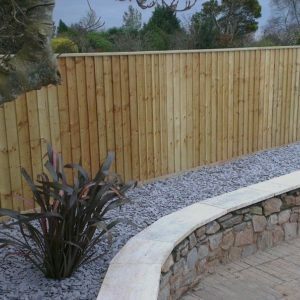 Similarly you should ideally put a gravel board at the bottom of the fence to protect the vertical boards from absorbing too much water from the ground. 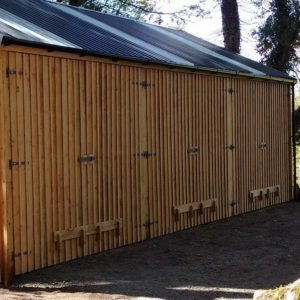 Because of customer demand we have now added thicker 175mm featheredge at 4.8 metres – this is mainly for cladding larger agricultural buildings. 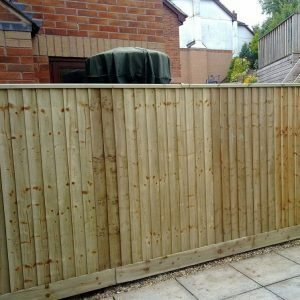 Also relatively new is a thicker larch board at 1.8 metres to provide a more durable fence. other materials can be machined to order but smaller runs can be relatively expensive.